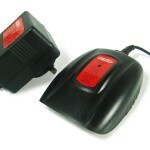 Power tool chargers recharge a cordless tool’s batteries. There are a multitude of chargers available, but there there may only be one that will charge your batteries. This is because each charger can only charge one particular brand’s batteries, only a set range of voltages, and sometimes only certain technologies. 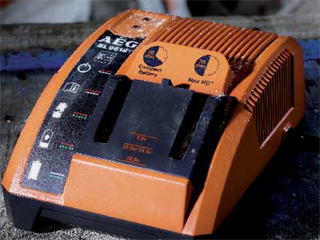 Some chargers don’t just charge your cordless tool’s batteries either – they monitor their health and care for them. They are commonly overlooked during the purchasing process, but play an equally important part in the operation of a cordless tool as the batteries and the tool itself. 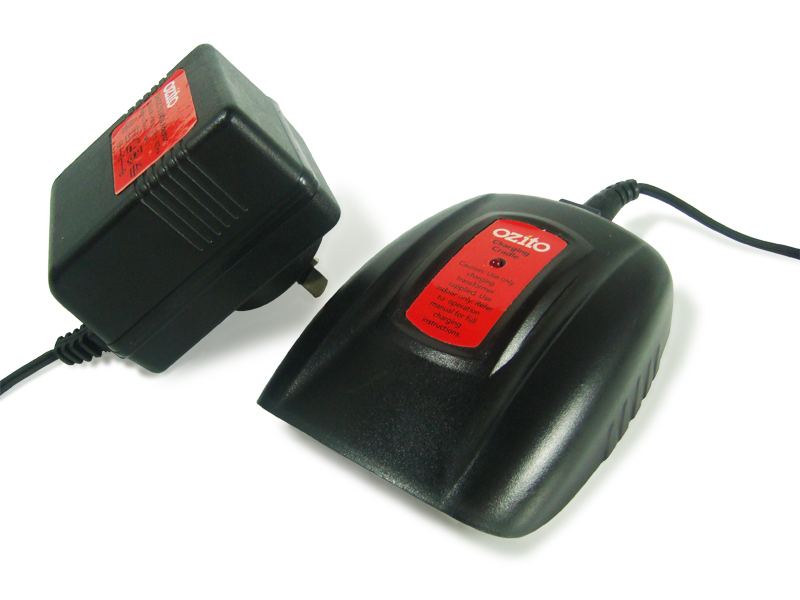 Simple power tool chargers usually consist of a plastic charging cradle that fits over the batteries contacts, and are connected to a transformer and a standard 10A power plug. 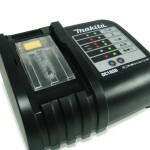 Their are also versions where the battery sits in the cradle (similar to intelligent chargers, see below). They are generally found on lower quality Nickel-Cadmium (NiCd) cordless tools, and are very simple in design and to use. Charging times generally range from about 3 to 5 hours. 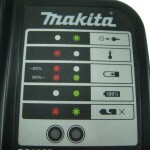 During operation, there is normally one small red light that glows to indicate that charging is taking place. 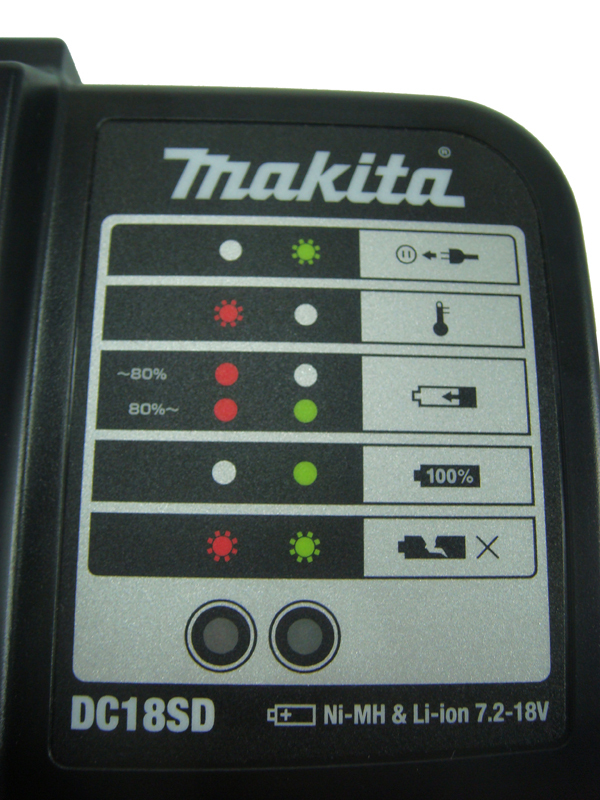 It is the role of the user to ensure that the battery is removed at the conclusion of the charging time. 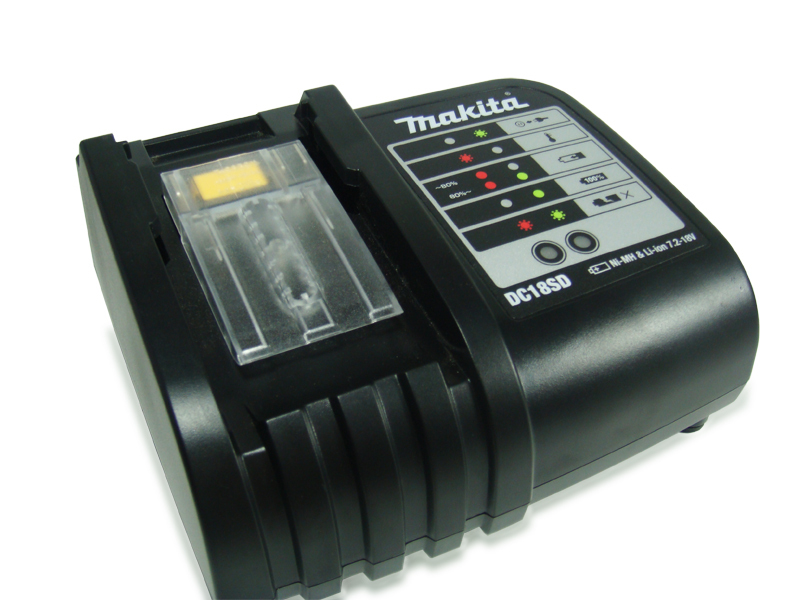 If this is not done, the battery can become damaged from overcharging. It is becoming more common to see these chargers equipped with timers or temperature control to avoid such damage. Batteries should never be charged while they are either too hot or too cold, as they will not charge correctly and may be harmed. Simple chargers again have no safeguard against this. These chargers are commonly found on higher quality cordless tools, and are stand-alone units that the batteries slide onto/into. There are a few main differences with intelligent power tool chargers (compared to simple chargers) that make them a much more worthwhile investment. When charging a battery, some intelligent chargers may exhibit behaviour on their interfaces that mimics the signs of a broken battery. If this happens, it is highly likely that the charger is communicating with the battery and devising the optimum way to charge it. Simply leave the battery in the charger and charging will resume in due course (this can take anywhere up to 40 minutes on some models). Was this guide helpful? Has anything been left out? Are there any improvements that could be made? Please take a moment of your time and click here to provide your valuable feedback.